I read this article and found it very interesting, thought it might be something for you. The article is called Chemtrails Protection – Colloidal Silver and is located at https://www.chemtrailsprojectuk.com/product/colloidal-silver/. 100ml of Quality Colloidal Silver (10 PPM) in amber glass bottle. Colloidal Silver is probably the easiest and cheapest way to increase your body’s natural immunity and help protect yourself against chemtrails. We make this colloidal ourselves to a very high standard. Full details are provided below should you want to make your own. For dosage info, please see the Silver Safety Council. In the spirit of transparency, we’re happy to tell you exactly how we make our colloidal silver. We do this not only so you can appreciate the quality of our colloidal silver, but so you can also buy the equipment and make it yourself if you like. Colloidal silver is an effective and cheap way to boost your immunity and help protect yourself from chemtrails, and we believe everyone should have access to it. A colloidal silver generator – After doing our research, we went with the SilverGen SG6 Euro model. Although we had to pay a hefty amount of import tax, it boasted one of the smallest particle sizes and included a mechanical stirrer (rather than magnetic). It also has a variable PPM control and an automatic shut-off. A production container – Container volume should be approx. 1 litre with good clearance for the generator’s electrodes. A PWT meter – Such as the Hanna HI 98308. Ensure it is correctly calibrated. A laser pointer (optional) – Just a cheap one will do. This is to allow you to check for the Tyndall Effect. Storage containers – We use 100ml amber glass bottles. A funnel – This will be inserted into the top of the storage containers. Cone coffee filters – Paper filters to be used with the funnel. Clean and rinse the distiller. Insert a carbon filter into the distiller (to remove VOCs). Fill the distiller’s boiling chamber no more than 3/4 full. Distill only 1/2 gallon into the receiver. Discard the remaining water that is in the boiling chamber. Repeat steps 3,4 and 5. You now have one gallon in the receiver. Put 3/4 gallon of this water in the boiling chamber. Remove the carbon filter from the distiller (so we don’t end up with conductive water). You now have 1/2 gallon of double-distilled water. Remove the generator and clean its electrodes. Check the PPM of the colloidal silver with the PWT meter. Insert funnel into storage container (e.g., 100ml bottle). Some residue is likely to fall off the electrodes into your colloidal silver. Although the residue is harmless, we want our colloidal silver to be clear, so insert a coffee filter into the top of the funnel. Pour the colloidal silver from the production container into the funnel. Repeat steps 1 to 9 until you have used all your double-distilled water. Label up your bottles accordingly (e.g., “Colloidal Silver, 100ml, 10 PPM”). 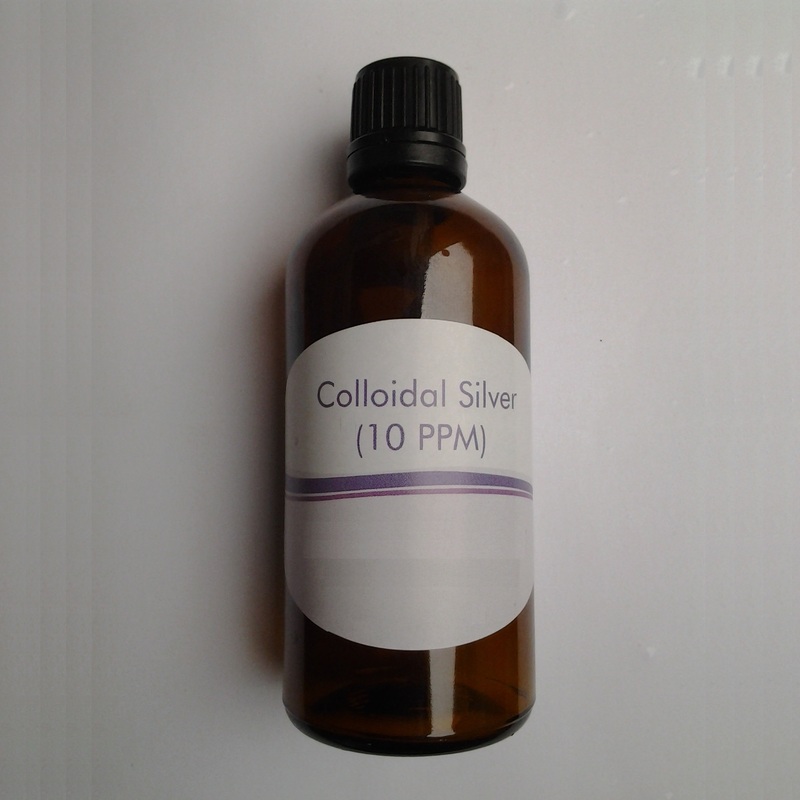 You now have a nice supply of very high quality colloidal silver! Be the first to review “Chemtrails Protection – Colloidal Silver” Click here to cancel reply.